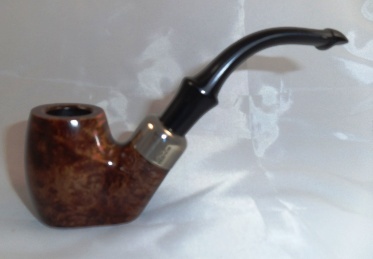 L’Anatra Teardrop Apple Pipe. 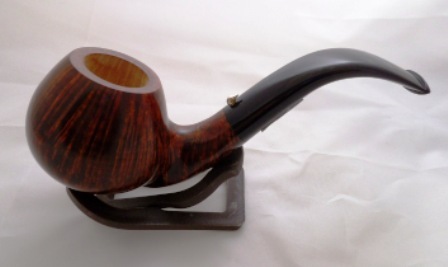 Handmade in Italy, this is an exceptional pipe. 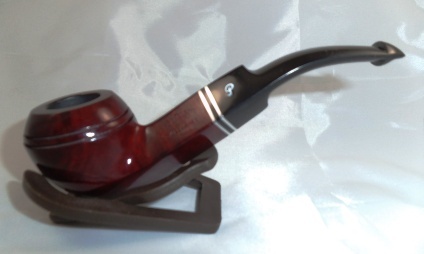 The large apple shape of the pipe allows for less chance of pipe burnout, and the teardrop stem allows for a light, well balanced pipe when hung in your teeth. This pipe also features a small gold duck head for an extra uniqueness to this piece.